One cheesy, pain-filled 'NOOOOOOOOOOOO!' Is getting changed to a more dignified 'No!' in the latest pages of a Marvel comic that chronicles Darth Vader's early career as a Sith Lord. This 'fixes' one of the more embarrassing scenes in Star Wars: Episode III - Revenge of the Sith, and even provides some insight into what happened in the moments directly following one of Star Wars most slammed moments in history. George Lucas is no stranger to changing Star Wars, so he shouldn't wince too much now that some of his own material is being reworked for the official canon. But Anakin Skywalker becoming Frankenstein, complete with his extremely cringe-worthy exclamation, is one of the most hated things about the prequel trilogy, perhaps only second to Jar Jar Binks. The moment comes in the final moments of Revenge of the Sith. It would be the last thing Star Wars fans saw on the big screen until 2015's The Force Awakens, with a decade passing between the two. And let's just say time hasn't been kind to this Drive-In Movie like ending for Darth Vader. Anakin, strapped into his new black armor, bellows his anguish upon learning that his one true love, Padme Amidala, has died from a broken heart. Now, Marvel is giving the Sith Lord some of his much-needed dignity back. On Thursday, Marvel Comics showed off a press preview of their upcoming Darth Vader comic book series. This run is a little different from the last. As it will focus entirely on Darth's early days in the suit. And yes, everything is 100% canon. How does that change things moving forward? That much is not clear. But fans will learn how Darth got his red-bladed lightsaber. And his 'NOOOOOOOOOOOO!' Has been changed into a much cooler, more deadlier wail. Not only is Darth changing his howls of pain, but fans will finally get to see what happened in the moments directly following this key event in the life of Anakin Skywalker. Darth is actually able to pull himself together quite quickly. And he accuses Palpatine of lying to him. In Revenge of the Sith, Darth Vader was sad. Well, apparently in the official canon, there's no crying in Sith baseball, so this time, he's depicted as being extremely pissed off. Even though we get to see a more 'subdued' Vader, it is clear that the new Sith Lord is extremely gullible. Emperor Palpatine is quick to calm his brooding apprentice, explaining that Padme's death gave him the pain he needed to fuel his anger, and now he'll be able to wield that like a weapon. Vader, following the path already set out for him in the existing movies, buys into what Palpatine is selling. Alas, we don't get an alternant-universe Darth Vader comic where the former Jedi kills the Emperor. Instead, we become more attuned to his inner turmoil, and are given a better understanding of Darth Vader's rage in Rogue One. The comic book may even further explain why he's so depleted of energy when it comes to fighting Obi-Wan Kenobi just a short time later. The new Darth Vader comic will be on sale starting June 7, 2017. 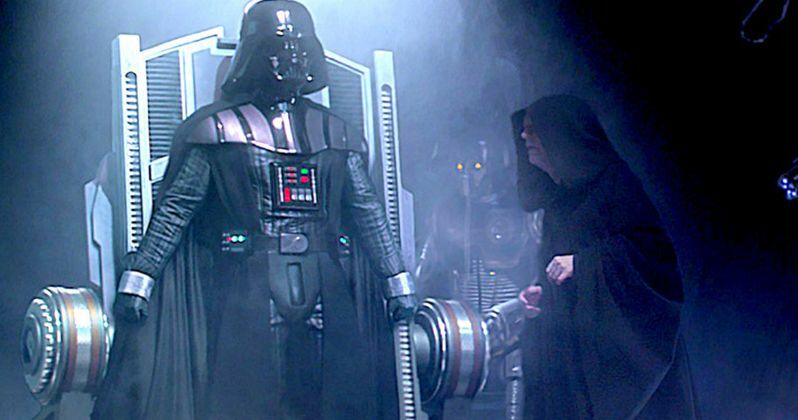 At this time, there are no plans for Darth Vader to return on the big screen in a Star Wars movie. But we're sure he'll come up more than once in The Last Jedi. Here is a look at the comic thanks to Inverse.